Work on The Walking Dead: The Final Season properly resumed in November 2018 after Skybound Games stepped in to resurrect the series following Telltale Games' abrupt closure, and it seems its development is nearly finished. As Skybound announced today, episode four, Take Us Back, is scheduled to release next month on March 26, just over two months after episode three. 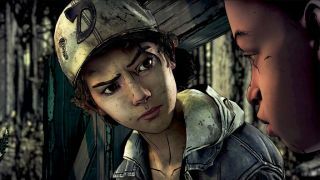 "It’s hard to believe Clem’s journey is coming to an end," Skybound said. "Just like you guys, we’re struggling to grasp the fact that the journey is almost over. But we’re so ready and thankful to have all of you alongside us as the story comes to a dramatic close." There was a time not too long ago when it was unclear if Clementine's story would be finished at all, so it feels a little surreal to have a final release date. What's more, the entire final season will see a boxed release alongside episode four. Given the series' development troubles - which saw later episodes pushed to the Epic Games Store on PC - a complete physical edition seemed unlikely, so it's nice to see all four episodes in one place. The boxed edition will be available on PS4, Xbox One, and Switch, also on March 26. A price point has not been announced, but you can bet it'll be close to the price of the season pass. Speaking of which: as always, players who previously purchased the Final Season's season pass will automatically receive episode four from their usual storefront. You can watch the trailer for episode three, Broken Toys, here.